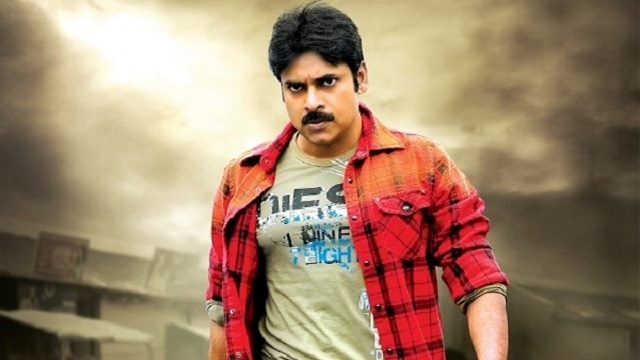 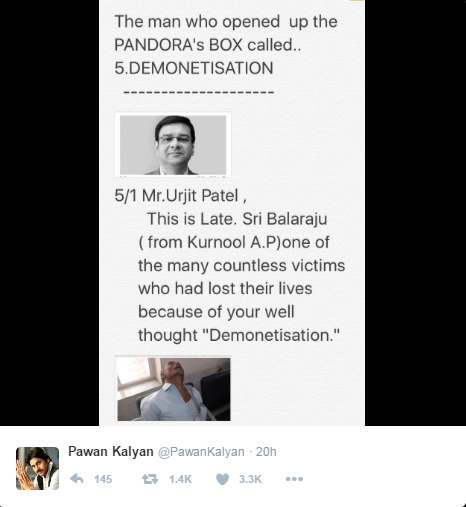 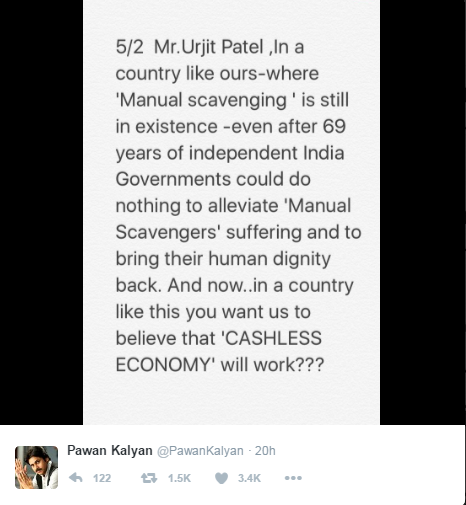 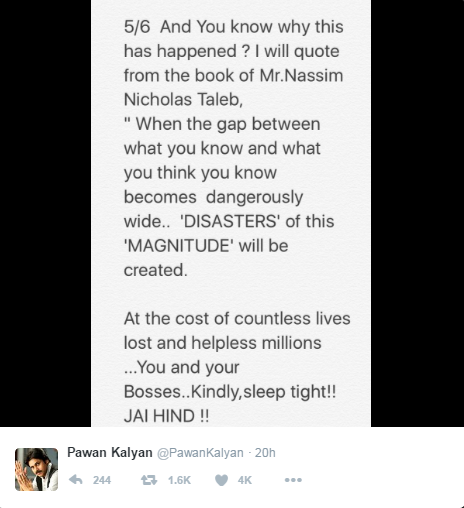 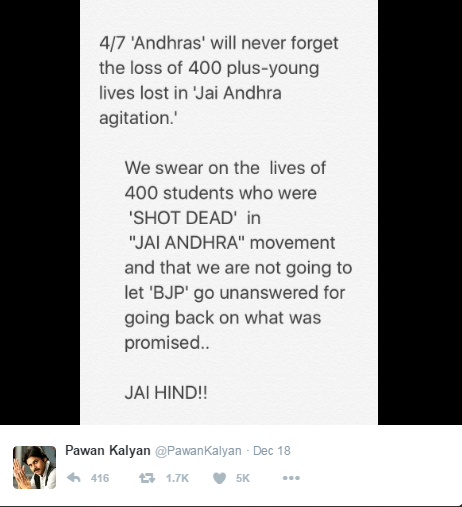 Actor and politician Pawan Kalyan slams demonetisation and also criticised over the special status to AP :- On Tuesday, Janasena Party Founder and Telugu film star Pawan Kalyan condemned the demonetisation decision. 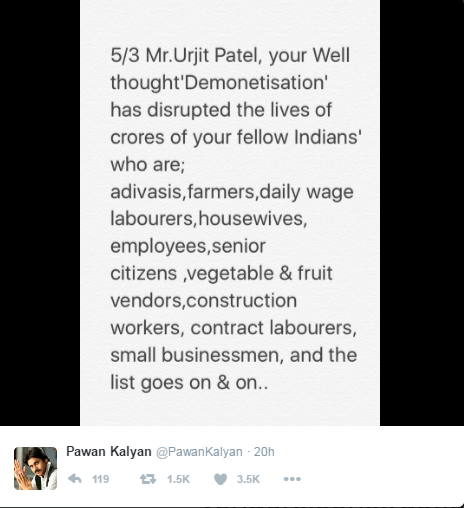 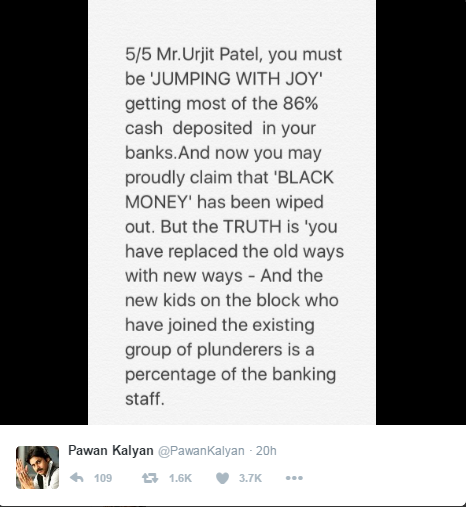 In his tweets on the demonetisation, He addressed RBI Governor Urjit Patel. 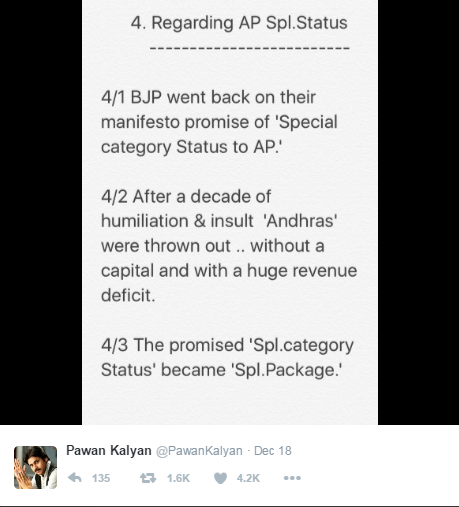 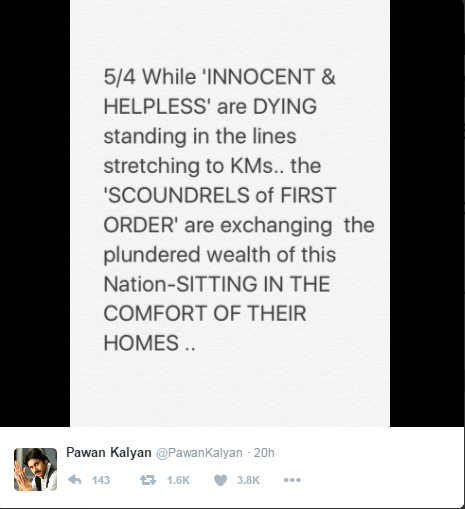 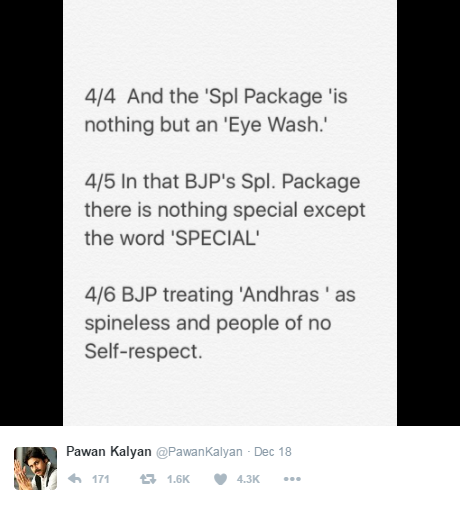 Actor and Politician Pawan Kalyan also criticised the BJP over the special status to Andhra Pradesh.